It's still a little weird to be working regularly again. But I'm happy to be able to do great work for my boss (and our company), and to be working with my friends on the team again! We're moving to a new office space within the next three or four months, so we're doing a lot of administrative tasks on top of regular work, which means I've been busy, busy, busy. Apart from being stuck in the office, I've also gotten to do a few fun things! I hosted the last of the live chats with Jodi Meadows for the Incarnate Read-a-thon. I popped up near Columbia University to attend the New Adult Extravaganza. I attended the Something Real book event at Powerhouse on 8th in Brooklyn, which was so fun. Heather Demetrios is awesome, and it was so cool to meet her! Did I mention I also did my first vlogs for Lit Ladies and Wednesdates? It was also really fun to get together with my friends Estelle & Rachel for E's birthday. We caught up over pizza at John's Pizzeria and went to watch That Awkward Moment after! The next day, I took Mel out on a date at Serendipity 3 for an advanced Valentine's Day present. I headed out to work during the tail end of a snow storm on Thursday, before surprising both Mel and Jaymee with little gifts on Friday. 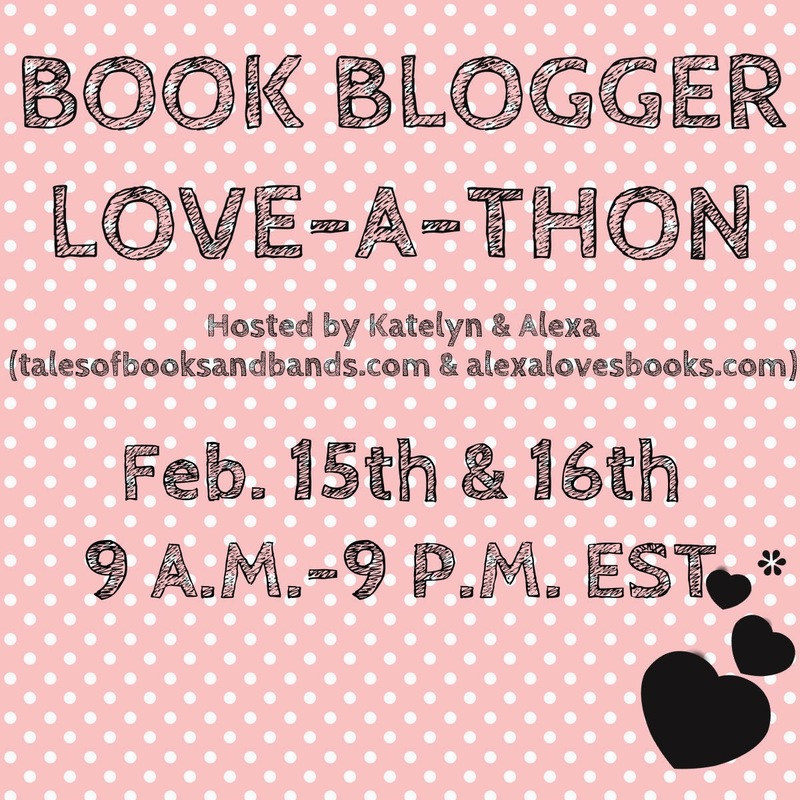 Saturday and Sunday brought along the 2014 Book Blogger Love-a-thon that I co-host with Katelyn, and the sheer amount of support and love blew me away. In between, I managed to watch a couple of films: Endless Love, Chalet Girl and Listen To Your Heart. The data Brittany compiled about social media is completely fascinating. I do love Twitter out of all the social media I use. What about you guys? I adore Susan Dennard for lots of reasons. Her awesome writing-centered posts (like this one about the productivity pyramid) (and this one about the power of ritual) just add fuel to my affection. I've seen The Sound of Letting Go popping up everywhere! Magan's interview with the author convinced me to add the book to my ever-growing TBR. Marie Lu's post about the books that have stayed with her over the years inspired me to start thinking about what books I would choose. What would be your picks? I feel like Judith spelled out my exact thoughts in her ARC envy post. It's very well-written, and genuinely expresses feelings (that I share) about review copies. Here's another well-written discussion! Maggie tackles honesty, criticism and blogging. Show-versus-tell is something you hear a lot about writing. Kat Zhang posts about when to show and when to tell. I'm seriously excited for my friend Magan who had her beautiful baby girl last week! Estelle celebrated with two posts - one with advice from blogger mommies, and one where we played guess the baby blogger! Rejection is something that scares me. But the thing is, sometimes, it leaves room for improvement, growth and getting better. I loved Jodi Meadows' love letter to her rejections! Melissa shares the top five things she's learned from blogging! I agree with these points completely, even though I've been blogging for less than three years. How do you feel about predictability in your reads? Gaby wrote a whole post about it. Lauren shares her thoughts on coping with series disappointment. Has a series ever broken your heart because the rest of the books (especially the ending) didn't live up to the expectations you had after the first? I like how EC Myer shares the simple that every book - in terms of writing or reading experience - is different. It's so true! I'm not a big DNF girl, mostly because I'm stubborn and eternally optimistic. Debby's post on DNF makes some really sound points though! I enjoyed the visual experience of Brittany's Top Ten Tuesday for the swoony reads topic. Alyssa knows the way to my heart. Translation: She wrote a post about Disney villains and I love it so. Trying to figure out what book boy you'd like to date? Gaby's Cupid Strikes post may be a fun way for you to find a solution. Serial distress is an awesomely accurate term, one that's come to my attention thanks to Sana. Valentines may be over, but that in no way diminishes the AWESOME that fills Gillian's Bookentines post. I'm super excited about the beautiful RED cover of Ruin & Rising, the last of the Grisha trilogy by Leigh Bardugo. Rachel encourages everyone to rock what they've got! It's such a positive, encouraging idea and everyone should embrace it. I love when Debby posts about spreadsheets. This time, it's about series! Jamie's book-inspired date this time around is beautifully simple and full of heart. These valentines Candice picked out are super cute! I also loved seeing what everyone chose for a special edition of Rachel & Carina's Infinite Playlist for Valentine's Day! Spent all day listening to these tracks at work. This article about getting unstuck was really inspiring! I feel like I want to make more of my life, and do what God intended for me to do. Add your birthday to the list that Judith is creating by tweeting her! For all the writers out there, here's a great post by Chuck Wendig encouraging you to write even when you don't feel like it. Dahlia Adler tells us just how she does it - everything from reading to tweeting! My friend shared this post with some really awesome ways to be a good spouse. I really like the points made in it, and will be taking note for sure. This year's Love-a-Thon was another wonderful, epic, happy, hectic, beautiful, positive affair! Katelyn and I are extremely grateful for everyone who signed up, everyone who helped us spread the love on Twitter and participated in the challenges and everyone who donated to our giveaways. We could not have done it without all of YOU! Thank you, thank you, thank you. We look forward to next year and making the Love-a-Thon bigger and better than ever! It was sincerely a pleasure to co-host another event with my friends Racquel & Sharon! 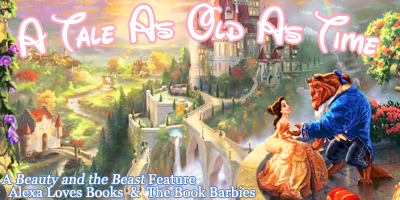 This time around, we held a week-long celebration for one of our favorite fairytales: Beauty and the Beast. The week was filled with reviews and fun posts, all of which were a lot of fun to create! 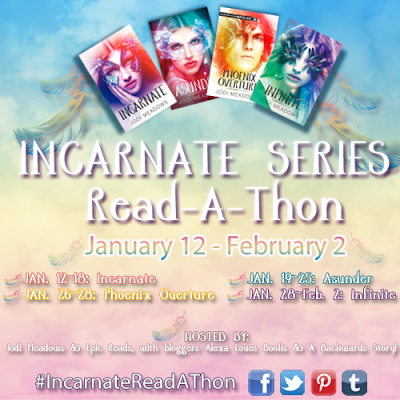 If you were following me in January, you'd know that I was co-hosting the Incarnate Series Read-a-thon with my friend Bonnie. We are both huge fans of Jodi Meadows and her incredible series (and if you haven't read it, GET ON THAT. A lot of newbies to it during the event fell in love with it! ), and it was so fun to celebrate by re-reading the first two books and the novella in time for the last one's release! The live chats were something new, but also really fun to do. So grateful to everyone who participated, and to Jodi and Bonnie for being AWESOME. I hope you enjoy reading these posts as much as I did! Now it's YOUR turn - are there any posts (on your blog or other blogs) from last week that I missed out on? Please feel free to share links in the comments and I'll try to check them out. What an amazing week, Alexa! Thank you so much for appreciating and linking my post, by the way! Your blog has been a go-to of mine since you formed, so I really love it when other readers really enjoy and connect with some of what I write, as well. Happy Monday, pretty! Whoa, there were a lot of great posts to read this week I am going to have to CLICK THEM ALL. So much to browse on these posts of yours! It's like Pinterest where everywhere leads me to an hour of reading haha. Wow! So many links to check out it's almost overwhelming! I give you props for remembering all of them to make note!